Why is my comment not appearing? I’m looking for a story you ran a while ago, where can I find it? Once the system has located your account, you will be sent a reset password email. From the email, copy the reset password URL provided in your email. You will be prompted to enter a new password. If you have joined Queensland Times using Facebook, you will be unable to reset your password via our website. You will need to reset your password by logging into Facebook. You can login with your Facebook account from our login page. There could be a number of reasons why you are not receiving emails. Spam/Trash/Junk - Your emails are hitting your trash, spam or junk mail boxes. To fix this, ensure that you set our email address on your allowed list. Redirection or email forwarding - Your are forwarding emails from one account to another account. Check to make sure that you have your forwarding rules setup correct. The email might not be getting forwarded correctly from one email provider to another. You will need to contact their customer server. Mail User Agent misconfiguration - You have not sent your email correctly. You will need to contact your email provider to check your email settings. Once you have done this, you should restart your browser. 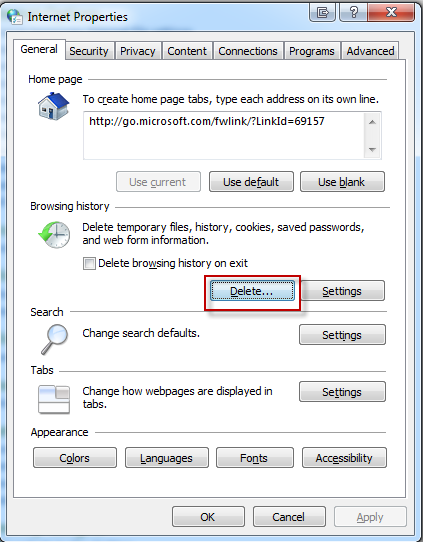 Expand Delete Options and choose what history elements to clear. - e.g. Delete temporary cookies, Delete all cookies, Delete entire cache. Click the Clear Now (Opera 9) or Delete (Opera 10) button. The screen will look different based on what version of IE and Windows you are running. If your screen looks like this, delete both cookies and files. All comments placed on our stories are placed in a moderation queue to be processed by our editorial staff. Comments are enabled on stories to encourage fair and frank discussion of issues. Below are guidelines that seek to ensure that together we foster a friendly and constructive forum. Comments should be relevant to the issues. No offensive, defamatory, obscene, misleading or threatening language will be tolerated. Comments containing swear words, abbreviated swear words or implied swear words will either be edited or removed. Comments should not be used for self promotion or spamming purposes. Users should refrain from personal criticism of others. Please be mindful of the right of other people to voice opinions different to your own. If you find that you disagree with someone, engage them in a constructive debate, not an aggressive argument. The editors retain the right to edit, remove or freeze comments at their own discretion. These decisions do not hide an agenda and are made sparingly. If you have any questions about newspaper deliveries, please contact our office directly. Details can be found on our contact page. In the top right corner of our website there is a search box that you can use to find articles about a specific person, event, or topic. If you are experiencing issues with our competitions, please contact onlinehelp@apn.com.au. Please include your username and the competitions that you are trying to enter.